Marja van Kampen is a painter and printmaker. Travelling has been a major inspiration for her paintings. Being attracted by the colours of the south, the light and vegetation, she has been travelling in Southern Europe and India. Exotic colours and forms of these destinations feature transformatively in her work. 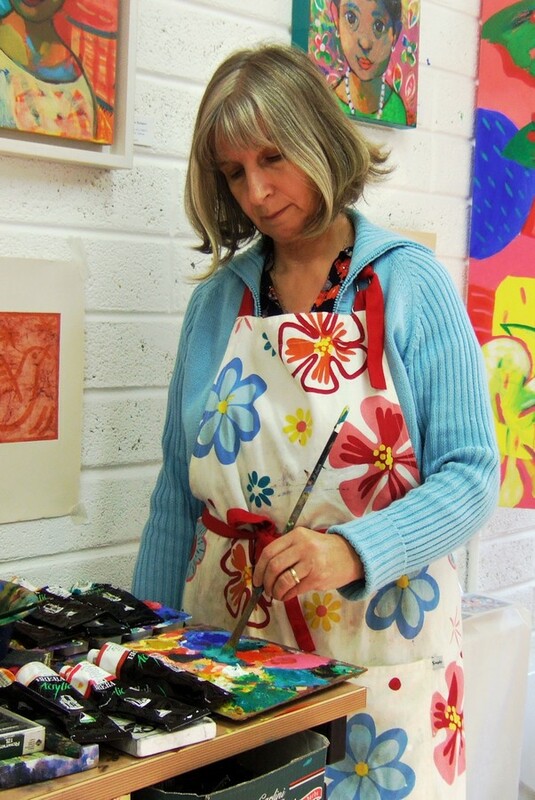 Marja is the recipient of several Awards, the most recent a Travel Award from the Arts Council to study American expressionistic painters in New York. Read more about Marja in the upcoming issue of Upstairs Downstairs!